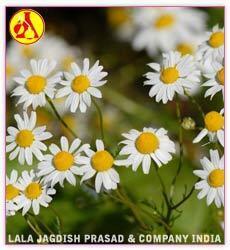 Chamomile German Hydrosol's aroma is a reminiscent of the chamomile tea. It is strongly anti-inflammatory and acts as a . Remarkable Hydrosol is used for skin care applications and is helpful for oily or acne prone skin. It also eases the sting of insect bites and sunburn and also helps ease muscular aches and arthritic conditions. Packing : Food grade silver coated aluminum bottles and as per client's requirements.Chamomile German Hydrosol's aroma is a reminiscent of the chamomile tea. It is strongly anti-inflammatory and acts as a sedative. Remarkable Hydrosol is used for skin care applications and is helpful for oily or acne prone skin. It also eases the sting of insect bites and sunburn and also helps ease muscular aches and arthritic conditions. 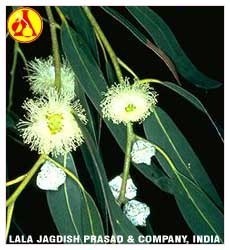 Eucalyptus Hydrosol is known for its attractive and fresh aroma also, it has several antiseptic and anti-oxidant properties that assists in the treatment of problems like grazes, insect bites and minor cuts. This hydrosol also includes mild tonic as well as skin cleansing properties and is generally considered safe to be used in bath preparations, lotions and creams. Moreover, it is also popular for its effectiveness against mucus and common cold. Packing : Food Grade Silver Coated Alumunium Bottels And As Per Client Requirements.Eucalyptus Hydrosol is known for its attractive and fresh aroma also, it has several antiseptic and anti-oxidant properties that assists in the treatment of problems like grazes, insect bites and minor cuts. This hydrosol also includes mild tonic as well as skin cleansing properties and is generally considered safe to be used in bath preparations, lotions and creams. Moreover, it is also popular for its effectiveness against mucus and common cold. Frankincense Hydrosol has a soothing effect and is used to bring peace to mind. It is especially drank at the beginning of the day or before a therapeutic treatment session. 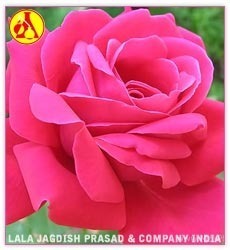 Its extraordinary fragrance is slightly sweeter than the oil. It is an excellent hydrosol to use for respiratory health and specifically when there is excess mucous. Frankincense is one of the best hydrosols to use on your skin as an anti-aging and wrinkle reducing application as it helps maintain the skins elasticity. With a lovely feminine fragrance, Geranium hydrosol acts as a balancer and is generally used as a toner to rehydrate all skin types. With a feminine fragrance, Geranium hydrosol is great as a facial spritzer and is a perfect travel companion to revitalize, tired body and mind. Packing : Food grade silver coated aluminum bottles and as per client's requirements.With a lovely feminine fragrance, Geranium hydrosol acts as a balancer and is generally used as a toner to rehydrate all skin types. With a feminine fragrance, Geranium hydrosol is great as a facial spritzer and is a perfect travel companion to revitalize, tired body and mind. Lavender hydrosol is a product in the distillation of lavender.We offer lavender oil, which are made of pure and natural ingredients. This Nature's Gift offers pure gentle lavender hydrosol, 100% natural healing distillate. Excellent for use as a gentle and effective cleanser and healer for cuts and scrapes for adults and childrens. Available : 20 Ltrs., 10 Ltrs., 5 Ltrs. 2 Ltrs. 1 Ltr. Packing : As Per Client Requirements.Lavender hydrosol is a product in the distillation of lavender.We offer lavender oil, which are made of pure and natural ingredients. This Nature's Gift offers pure gentle lavender hydrosol, 100% natural healing distillate. Excellent for use as a gentle and effective cleanser and healer for cuts and scrapes for adults and childrens. Packing : As Per Client Requirements. Melissa Hydrosol has gentle astringent qualities and is excellent for both skin and hair care. Used in lotions, creams, facial toners, shampoo and body wash etc., it has a pleasant, uplifting, lemony scent. This hydrosol also makes delicious tea and is also used for soothing stomach cramps, indigestion and nausea. Packing : Food grade silver coated aluminum bottles and as per client's requirements.Melissa Hydrosol has gentle astringent qualities and is excellent for both skin and hair care. Used in lotions, creams, facial toners, shampoo and body wash etc., it has a pleasant, uplifting, lemony scent. This hydrosol also makes delicious tea and is also used for soothing stomach cramps, indigestion and nausea. 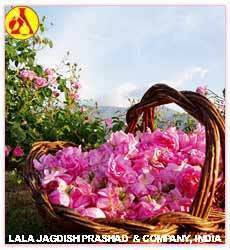 Rose hydrosol is also known to promote emotional balance and a sense of well-being. It can be used on its own as a perfume, or you can add essential oils to the hydrosol.Rosemary Hydrosol is for external use only. 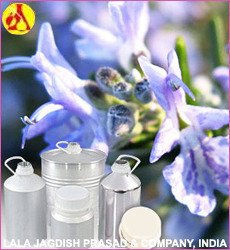 The Herbarie's Rosemary Hydrosol is extracted from fresh plants and is highly aromatic. The hydrosol has application in many skin and hair care products. It can be used in water phase in many formulations and also in diluted form. Very nice combined with Melissa Hydrosol. Rosemary Hydrosol is for external use only. Packing : Food grade silver coated aluminum bottles and as per client's requirements.The Herbarie's Rosemary Hydrosol is extracted from fresh plants and is highly aromatic. The hydrosol has application in many skin and hair care products. It can be used in water phase in many formulations and also in diluted form. Very nice combined with Melissa Hydrosol. Rosemary Hydrosol is for external use only. 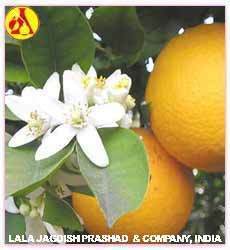 We are making available Neroli Citrus Aurantium that is derived from the blossoms of orange tree. 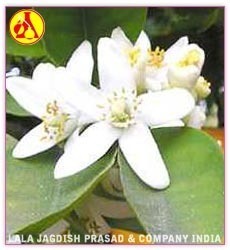 It is known to have a sweet and floral citrus aroma. It is extensively used in antidepressant, antiseptics, antispasmodic, , carminative, deodorant, stimulant etc. Packing : Food Grade Silver Coated Alumunium Bottels And As Per Client Requirements.We are making available Neroli Citrus Aurantium that is derived from the blossoms of orange tree. It is known to have a sweet and floral citrus aroma. 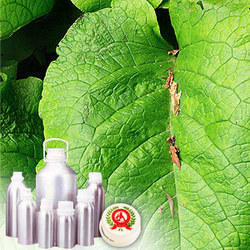 It is extensively used in antidepressant, antiseptics, antispasmodic, aphrodisiac, carminative, deodorant, stimulant etc. Rose water offers an extremely different flavour and is used in various cuisine. It is mostly used in various kinds of cosmetics like creams and lotions. The rose water is procured through steam-distilling the crushed petals of rose flower. 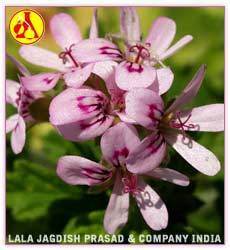 This fragrant water is highly used in various deodorants and perfumes for attractive aroma. It is also an effective skin toner and is also used in diverse applications of aromatherapy. 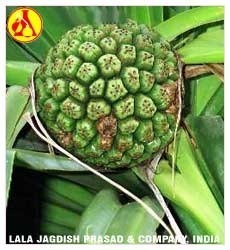 Kewra/Keora/Kewda offered by us is a essential oil from pandanus flowers. Dominated by 2-phenylethyl-methylether, it finds extensive usage in perfumes & food flavour preparations. Further the oils are also compatible for use in cosmetics and perfumery applications. Packing : Food Grade Silver Coated Aluminum Bottles And As Per Client Requirements.Kewra/Keora/Kewda offered by us is a essential oil from pandanus flowers. Dominated by 2-phenylethyl-methylether, it finds extensive usage in perfumes & food flavour preparations. Further the oils are also compatible for use in cosmetics and perfumery applications. 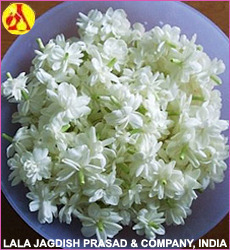 Mogra is widely cultivated for attractive appearence and the flower has sweet fragrance. The hydrosol is used in making of cosmetics. Wide range of applications of this hydrosol can be seen in the perfumery and aromatherapy. Packing : Food Grade Silver Coated Alumunium Bottels And As Per Client Requirements.Mogra is widely cultivated for attractive appearence and the flower has sweet fragrance. The hydrosol is used in making of cosmetics. 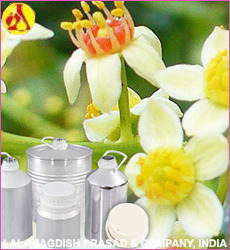 Wide range of applications of this hydrosol can be seen in the perfumery and aromatherapy. We are offering a wide range of Jasmine Sambacs that are widely used in medical and cosmetic applications. 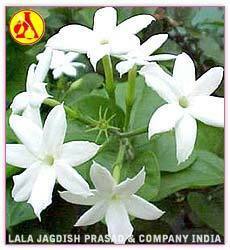 Jasmine's flowers are used for making perfumes, deodorants, soap, hair oils etc. Apart from these, these are also availed for curing various health problems like headache, depression and dullness. Awarded as a symbol of peace and holiness, Jasmine is one of the best natural medical remedy. Packing : Food Grade Silver Coated Alumunium Bottels And As Per Client Requirements.We are offering a wide range of Jasmine Sambacs that are widely used in medical and cosmetic applications. 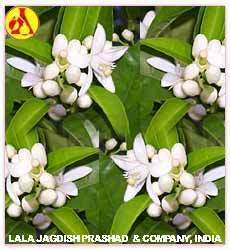 Jasmine's flowers are used for making perfumes, deodorants, soap, hair oils etc. Apart from these, these are also availed for curing various health problems like headache, depression and dullness. Awarded as a symbol of peace and holiness, Jasmine is one of the best natural medical remedy. Packing : Food Grade Silver Coated Alumunium Bottels And As Per Client Requirements.The leaves of Jasmine Grandiflorum are extensively used in producing various Ayurvedic herbal medicines. It is famous as an alternative to allopathic medicine for a numerous diseases, enlisting cancer, anxiety, stress relief and easing depression. Our this product is an effective remedy against several ailments and so, widely demanded.